Time shouldn't be wasted, as nobody will return you your time. Remember when we were young and were wondering why the day is endless? Why the summer is so long away and when you get bored from one game to another? Now, looking back, you wish you would think that way. As we grow up, we understand why Peter Pan wants to be a child forever. Now, our days and weeks flew by that we rarely even know what boredom is. Anyone still with me? Because we all live once, and because there is so much to do, to see and to experience, we all should use our time wisely. 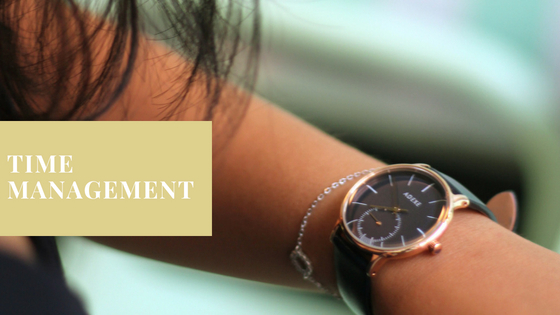 Let me share with you 10 tips how to be better in your time management. Plan your day wisely. Everybody have different styles and habits that work for them. Either it can be downloading an app to track your goals, write down to do list or keep a detailed diary. Plan in advance your day or weeks, even better. This will minimise you missing any important meetings, events or event birthdays. By doing so, you can properly plan your task, your locations and see the progress over the time. Whatever you decide to do, online or offline planning, make sure to tick it off and keep a track of it. It will help you to decide whether you have time for this meeting/event/coffee catch up or whether something took too long, so you can allow yourself longer time for a task. Always good to start of with complex issues and tasks rather then postponing them. Bare that in mind! Moreover, be always on time! (or try to give in advance a notice if you are running late). Wasting someone's time is a pain. 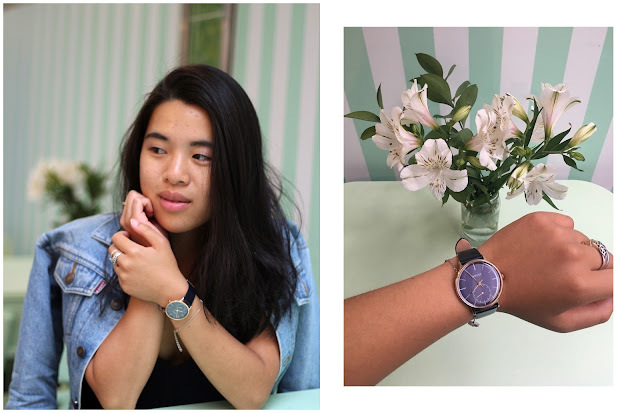 Recently, I have been keeping my time on the run through my new Petite Adexe Watch. Still fan of having a watch on my hand, rather than constantly looking to my phone for time. Phone can be such a distraction sometimes, as you start checking your messages, emails or scroll a bit on social media. Having a chic watch can not only act as an accessory, but also a great time keeper when it is awkward or not appropriate to take your phone out. (think of meetings or when you need to get off someone who talks a lot). Having few true friends is more than enough for us. We don't have enough time splitting out free time for our friends either. Therefore, spend your free time with the ones who matter to you. The ones who always stay besides you, the ones who supports you and the ones whom you trust. I have learnt that you don't necessarily need to keep in touch 24/7, because no matter what is happening, you will always get along like no time between you two haven't been missed. As already mentioned, start off usually with the larger and complicated tasks, because you have the most energy and your brain works fully. When the day and time passes, our concentration and energy level is lowering down. Hence, fuelled up either by regular snacking, caffeine or short walks in the fresh air. Don't try to overstretch yourself and keep yourself up and running, because the quality of your work won't be as good. Try to learn more about yourself in terms of what works for you the best when you get tired. 5. Learn how to say "no"
Taking on too much work is good and bad. Saying "no" sometimes doesn't necessarily mean bad. It is good for both sides. If you think you don't have time capacity anymore, politely reject and focus on what you have to finish. Better to reject rather then not delivering it on time or delivering it poor, right? A day have unfortunately 24 hours from which we have to keep our sleeping regime. Therefore, it is not in our human capability to be able to do everything. Learn when and where to seek for help when needed. Ask your friends, ask your colleagues, ask your network for help, for advice, for direction or even delegate tasks down. Don't get trapped and stuck in one place, learn how to solve issues and problems you don't know. I feel like everybody needs days off just to have their minds rested. Not only, when they are ill or have holidays, but keeping your mind healthy is as important as your body. Don't be afraid to take days off, or weekends alone, where you can just enjoy being with yourself, have a think, clear your mind to start off with fresh mind set. What could be worse then a rush answer or lifestyle, where people can easily get into anxiety and depressions. Living in a rush metropolitan life can be hard sometimes, and we always tend to run after something. Sleeping is important, what more to say about that. Everybody have different sleeping patterns, just keep it healthy and allow your body to have enough sleep. Download some sleeping apps to track your patterns, if you are interested in how you doing or interested on how to improve. It is said, that if you are doing the same thing for about 40 days, it will turn into a habit. This apply to anything you do. Whether it is regular attendance to gym, learning a new language vocabulary, waking up at the same time or reading a book half an hour every night. Weekends are days for not working. Indeed. However, use the weekends to maybe plan for next week, or catch up on task you haven't done. Don't just be lazy.